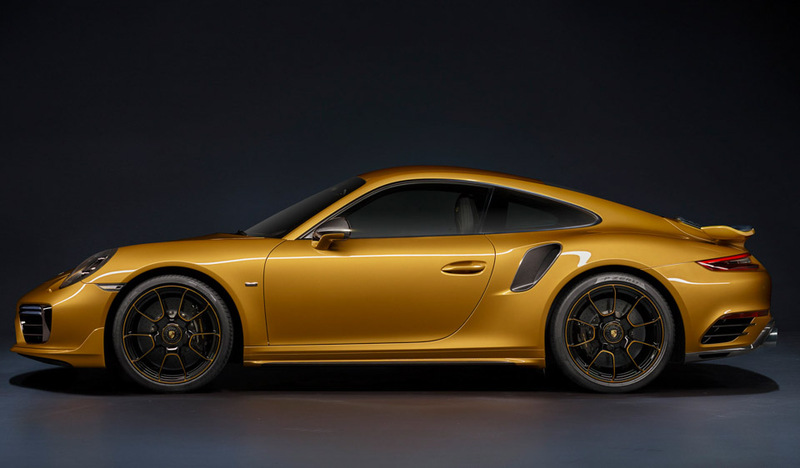 The Porsche 911 Turbo S is already one of the most desirable sports cars on the road. 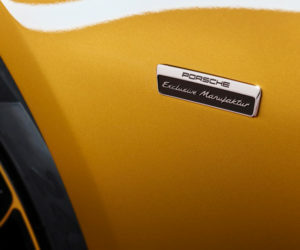 With impeccable handling, iconic styling, and a brutish turbocharged version of Porsche’s venerable flat-six pushing it along, it’s one of the most fantastic vehicles I’ve ever had the pleasure of driving. 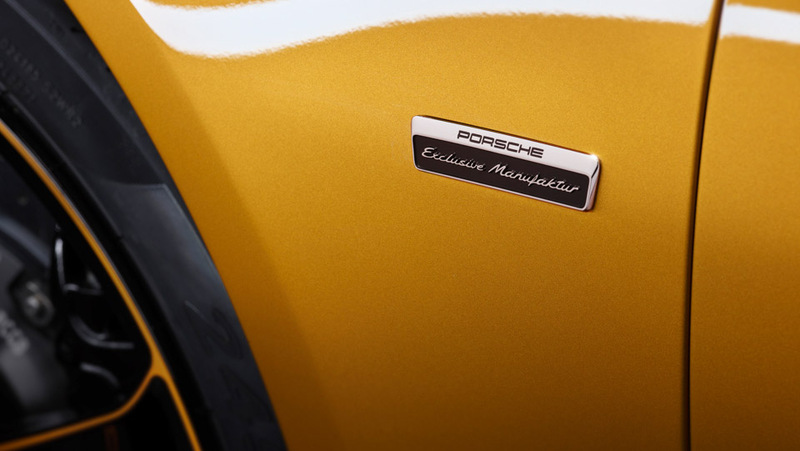 Now Porsche has gone and made it even better with the 911 Exclusive Series. 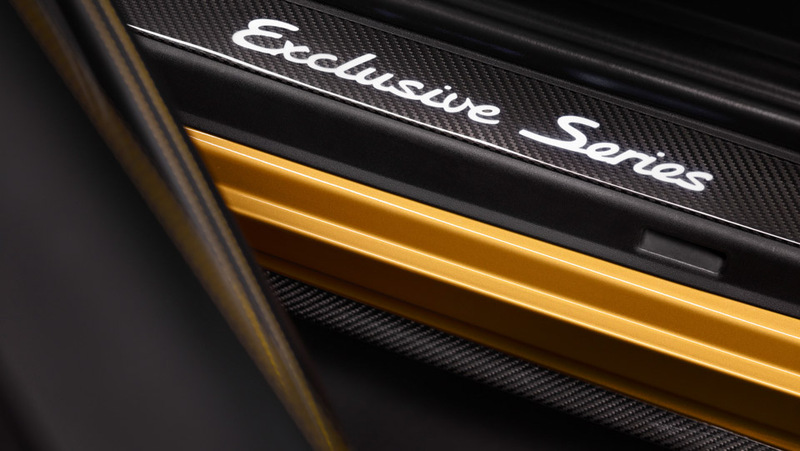 This limited-edition of the Turbo S will only get 500 examples, making it truly live up to its name. 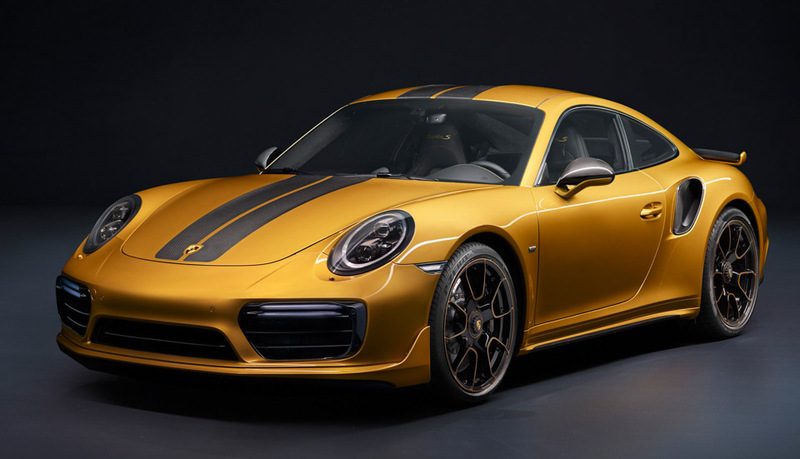 The car is deliciously dramatic from the outside, shrouded in Golden Yellow metallic paint, and a heaping helping of carbon fiber everywhere from its hood to its roof to its side skirts. 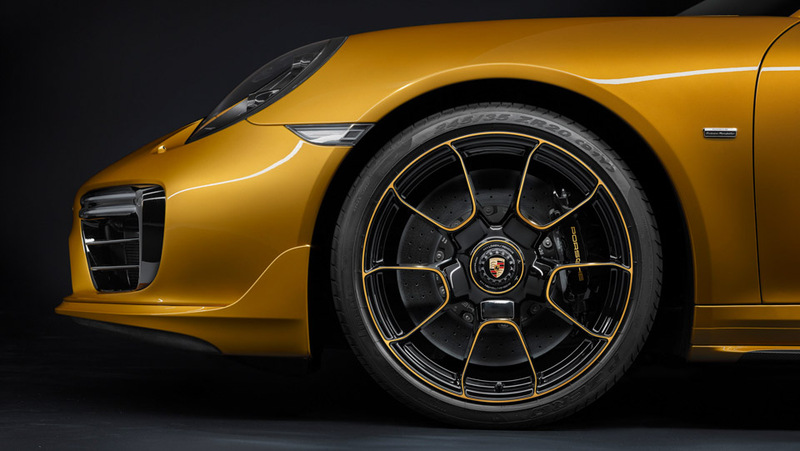 The car rides on 20″ black wheels with golden accents, and has matching black carbon ceramic brake calipers. 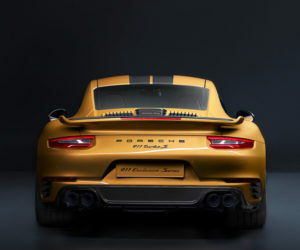 Out back, the 3.8-liter flat-six has been upgraded by 27 horsepower, pushing up to an incredible 607 horses, and capable of launching this beast from 0 to 62mph in just 2.9 seconds, and twice that speed in just 9.6 seconds. 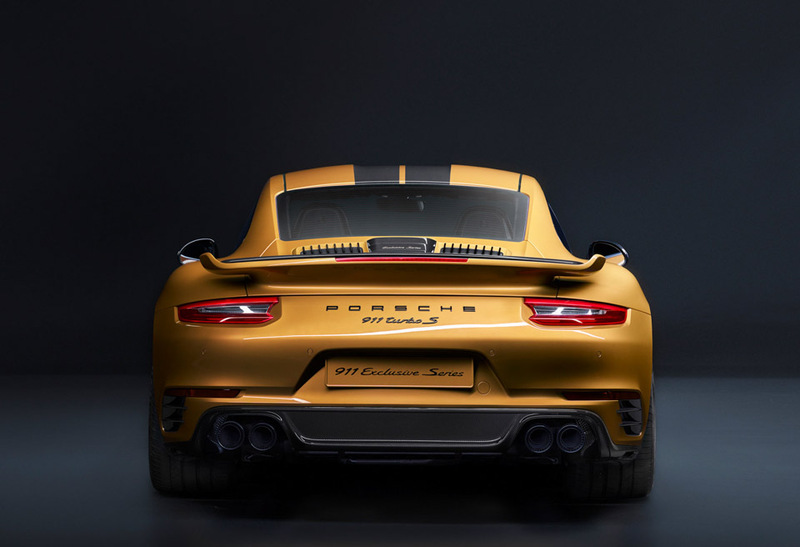 Naturally, it has all of the handling bells and whistles, not the least of which being its razor sharp rear-wheel steering and Porsche Dynamic Chassis Control. 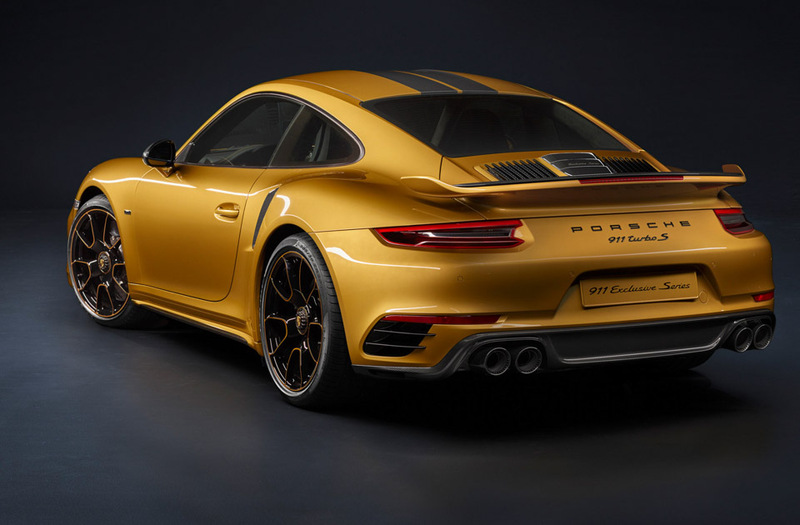 The interior has been appointed with 18-way adjustable sport seats wrapped in double-layer perforated leather, and lots of yellow stitching. 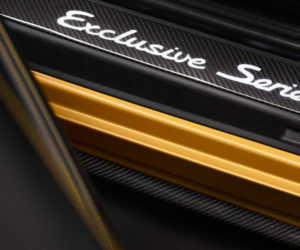 And if you didn’t get enough carbon fiber outside, there’s plenty in the cabin too. 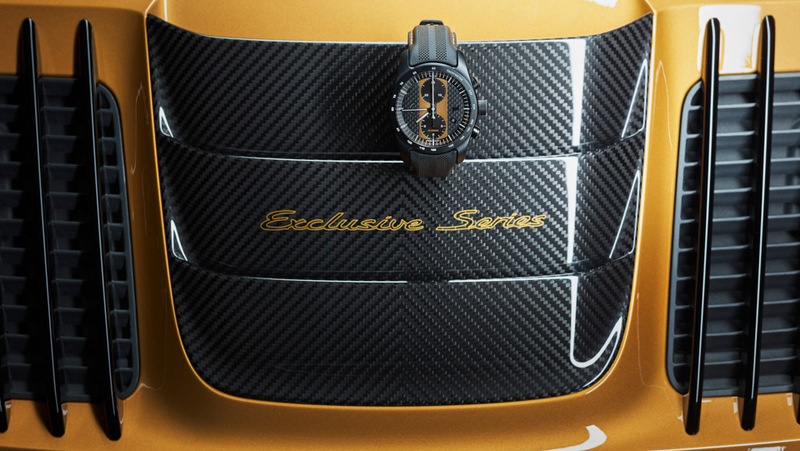 Last, but not least, a limited edition Porsche Design chronograph is available to those who buy the car, but it sounds like it’s an add-on. I figure if you spend the crazy money this car is sure to cost, the least Porsche could do is throw in the watch.